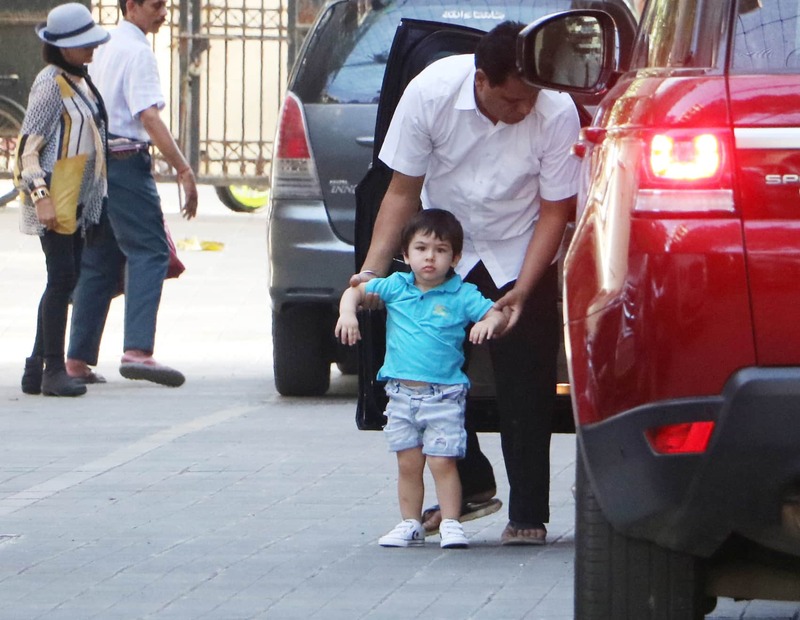 Internet's favourite baby Taimur Ali Khan was spotted outside his pre-school on Saturday. 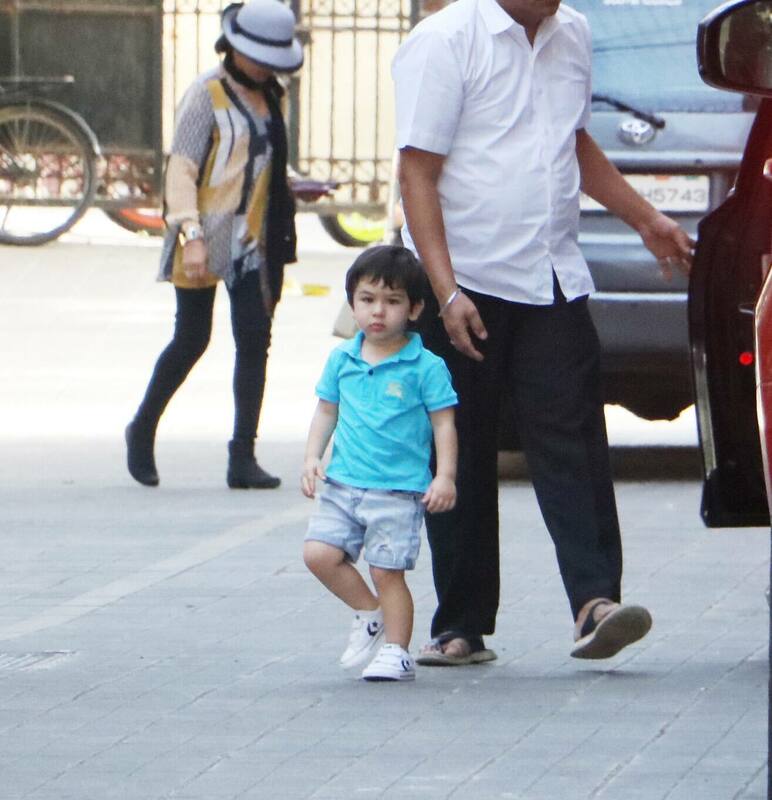 The sunny boy donned a bright blue t-shirt paired with denim shorts. Baby Tim did not seem to pleased to spot the paparazzi. Saif and Kareena's baby boy is the biggest superstar that we have in the industry. The little boy is paparazzi's favorite child and Tim Tim never forgets to greet them with a cute 'Hi'.